Pfc. Albert Dowdy, husband of the former Anita Fry, graduated from Wichita Falls, Texas High School. 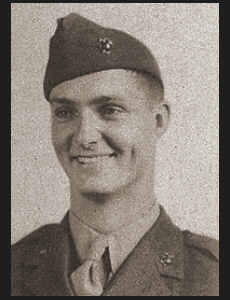 Entered the Marines in 1945, trained in Parris Island, S.C. Camp Lejeune, N.C.; served in S.W. Pacific, the Marianas, Guam Truk, and aboard the U.S.S. Columbia.